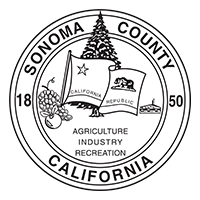 Sonoma Valley Vintners & Growers » Growers. Vintners. Neighbors. A handful of local wine legends gathered at the Fremont Diner. FIVE ICONS OF SONOMA VALLEY WINE WALK INTO A DINER. On a recent weekday morning, sunny and seasonably warm in the late summer days approaching harvest, a handful of local wine legends gathered at the Fremont Diner in southern Sonoma Valley. Some represent families that have farmed The Valley for generations. There were a couple new rising stars – even a Spanish transplant. But that morning, they were just a bunch of grape growers and winemakers having breakfast and sharing a few good laughs. While they’d never admit it themselves, the people at the counter that morning represent some of the most accomplished and interesting people in the wine industry today.